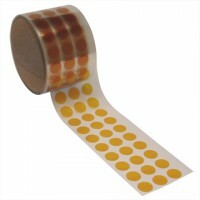 High temperature tape comes in many different types, for many different uses. For instance, PTFE Glass Cloth provides protection for hot wire contacts, while Kapton® is suited for automotive sensors, splicing wires, masking circuit boards, and more. You can trust the Packaging Company to have the right product to meet your needs perfectly. We stock a wide variety of different options, because we know how critical it is to find the exact item you’re looking for. But we also know that you don’t have the time to spend searching through many different providers to get the option that you need. That’s where we come in. At the Packaging Company, we aim to be a “one-stop-shop” for packaging, organization, and business needs. We have a proven history of success. Not only do we stock a large number of high-quality products at affordable prices, but we also understand the importance of customer service and working with our customers as trusted partners. We want to help your business succeed. If you have any questions about any of our products or if you are looking for a solution and you’re not quite sure what you need, please contact us today. We’ll be more than happy to speak with you. Our extensive variety of different high temperature tape options means you’ll almost certainly find what you’re looking for. We offer numerous dimensions, thickness options, and types. If there’s a type of tape you need, you can count on the Packaging Company. With years of experience, we’re the right choice. We stock a number of heat resistant options for industrial use, computing purposes, automotive applications, electrical applications, and much more. Our options provide superior performance at reasonable prices. 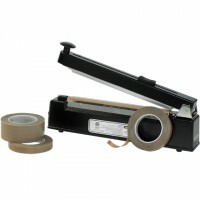 Each tape option has its own unique properties that make it best suited for specific applications. Check out our product line up below.